In this type of market buyers will spend more time looking for homes. There are more homes on the market, giving the small number of potential buyers more to choose from. The prices of homes can be stable or perhaps dropping. Seller's will find that buyers have stronger leverage when negotiating. With fewer homes on the market and more buyers, homes sell quickly in a seller's market. 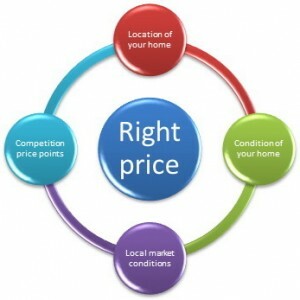 Prices of homes are likely to increase, and there are more likely to be multiple offers on a home. Multiple offers give the sellers negotiating power, and conditional offers may be rejected. Before you put your home up for sale, you must first know what your house is worth. To determine your asking price we will work with you to review comparable sales in your area and provide you with our detailed analysis of current market conditions. Based on this information we assist you in determining an asking price that will accurately reflect the market and comparable listings. We will recommend a listing price that is slightly higher than the value of your home, allowing for some negotiating space between you and potential buyers.